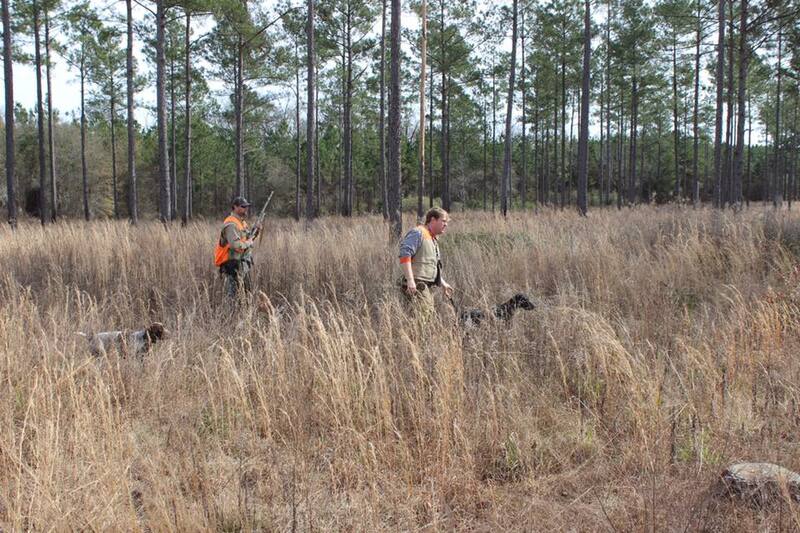 Professional Guide & Dog Handler Ray Meadows works the Hunt . Fox Head Farm is located in the heart of southeast Georgia among beautiful Farm Land and Pine Tree plantations. We have easy access via interstate and are located 2 hours from Atlanta International Airport, 1 hour from Macon, Georgia and 1 hour from Savannah, Georgia. FoxHead Farm is an original old home place dating back over 150 years ago with reminders such as the old barn and towering Pecan trees in the old home place yard. Our hunts are reminiscent of the old traditions of life on the farm. When you experience the peaceful settings and abundant wildlife we have to offer you truly won’t want to leave. Our guides are experienced, professional and local to the area along with well trained dogs. For reservations or information, please call: (404) 918-3187.